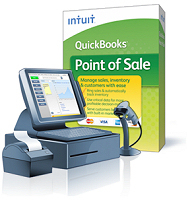 QuickBooks Point of Sale is the ideal solution for small retail businesses. It helps you save time, increase profitability, and make more informed business decisions. How? Because QuickBooks Point of Sale does more than just ring up sales!